Corruption, especially grand corruption, has enormous implications, both direct and indirect, for the enjoyment of human rights. Corruption undermines – perhaps even violates – a wide array of economic, social and cultural rights, including the right to development. Where governments fail to respect and protect civil and political rights, it in turn creates governance conditions in which corruption can thrive. What is more, all this has negative consequences for the achievement of the 2030 Agenda and the Sustainable Development Goals (SDGs). Yet despite the seriousness of the crime of corruption, and despite the gravity of its consequences for universal human rights, and while States (including in the Human Rights Council) are quick to condemn it; there is a significant disconnect between such protestations and actual action to confront corruption and to hold perpetrators to account. There are a number of possible reasons for this. One is that corruption is, in a sense, an ‘invisible crime,’ compared to, for example, terrorism. Another is the high cost of, and difficulties involved in, fighting corruption (domestically and internationally) compared to, say, drug smuggling or human trafficking. 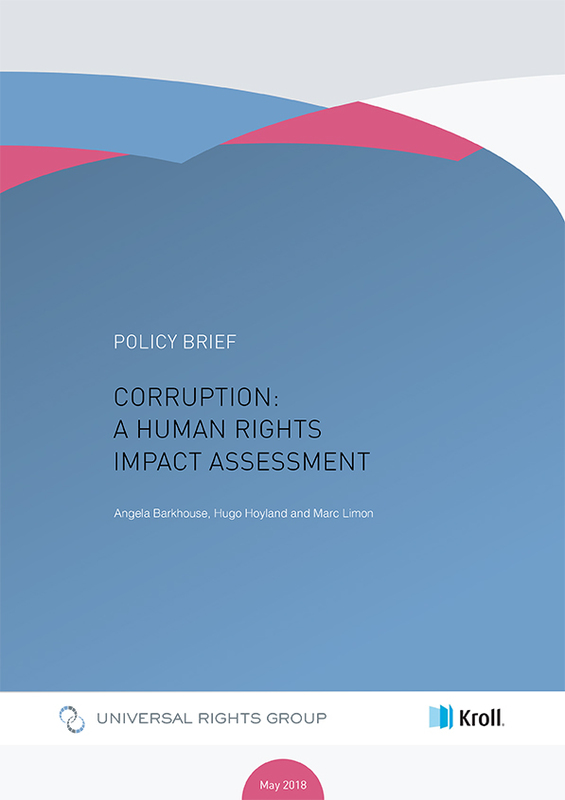 Yet corruption is the common denominator in all these – and other – transnational crimes, and its impacts are more ‘visible’ and immediate than is commonly perceived.